Ash Wednesday marks the beginning of Lent for Catholics. The ashes we receive on our forehead in the shape of a cross serve as an outward sign of our sinfulness and need for penance. The ashes also symbolize our mortality, a reminder that one day we will die and our bodies will return to dust. Ash Wednesday is also a day of fasting and abstinence for Catholics. According to Church law, Catholics older than the age of 14 are supposed to abstain from meat. In addition, those between the ages of 18 and 59, not including pregnant or nursing mothers, should eat only one full meal. Smaller amounts of food—not as much as a full meal—may be eaten in the morning and either at lunchtime or dinner, depending on when you eat your full meal. As long as I can remember, Lent always seemed to be about rules. What’s so spiritual about following a bunch of rules? I often wondered. 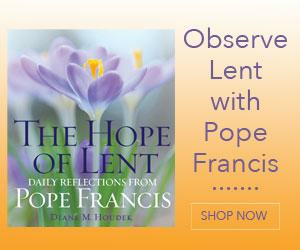 The truth is, I now understand, Lent is about much more than rules. How many times in your life have you thought, If only I could change things/do things differently? Well, that’s where Lent can help. Ash Wednesday serves as our wake-up call at the beginning of Lent. It is a time to identify the things we have done wrong or wish we could change or do differently. Then we can choose to do something about them during the next 40 days of Lent. And what about those rules such as abstinence and fasting? Those serve as gentle reminders to stay the course. • Try to attend Ash Wednesday services together as a family. Most parishes offer evening Masses to help accommodate working parents and busy families. • Attend a penance service at your parish. 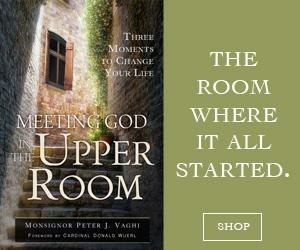 Going to confession provides a wonderful opportunity for a fresh start spiritually. Plus, if your kids see you partaking in the sacrament, they’ll be more likely to go themselves. • Focus on the meaning behind your fasting and abstinence. For instance, if having a particular food is a special treat for your family, the point of why you are abstaining from meat is probably lost. Try to find another meatless alternative for dinner. • Collect the palm branches you received last year on Palm Sunday, gather your family together and burn the palms. Hold a family prayer service with the ashes. When you are done, do not throw out the excess ashes, but rather bury them in your garden. If you don’t feel comfortable conducting such a ritual yourself, check with your parish to see if it is collecting last year’s palm branches. 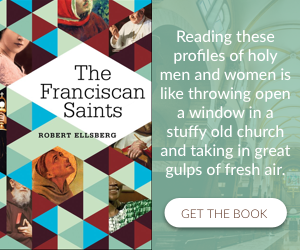 • Since Ash Wednesday is a reminder of the need for spiritual renewal and change in our lives, take some time to review your life and name those areas where you need renewal. Once you have identified these areas, identify ways to make a change. The concept of penance is an integral part of the Ash Wednesday custom. By wearing the ashes, we are reminded of our sinfulness and that when we have done wrong, we should seek to make amends. The Church provides us one way to do this through the Sacrament of Reconciliation. We should also, however, remember the value of reconciliation in our everyday lives. For instance, if you hurt someone’s feelings by spreading gossip, you should not only apologize, but also try to make amends by clearing up any rumors or misinformation you helped spread. Ash Wednesday is a wonderful opportunity to begin anew, and also serves as a good reminder of how we should behave the whole year through. It gives us an opportunity to slow down, find oneness with God, and allow God’s grace to guide our actions throughout the year. With the arrival of spring comes an abundance of new life. Just as Ash Wednesday serves as a reminder of a new beginning, take an opportunity to notice and enjoy all the new beginnings surrounding you. Write down all the new events you see taking place, such as flowers blooming, a new baby either in your family or a friend’s, a new job for someone or natural phenomena, such as bird nests and eggs, bunnies or ducks at a local pond. Share your list with family members at mealtime or another time when you are all gathered together. Invite them to witness all the new beginnings surrounding them, too. This reflection was adapted from an article in St. Anthony Messenger.